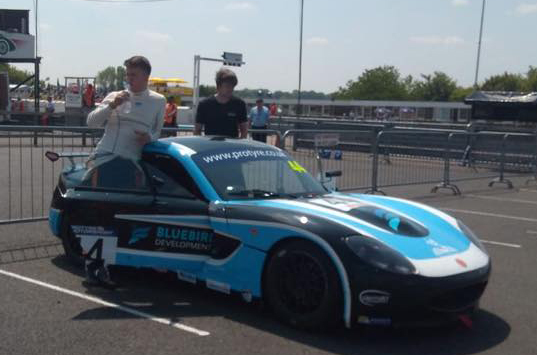 What an incredible weekend for Century Motorsport’s Max Bird and James Kellett in the GT5 Challenge held at Thruxton, supporting the BTCC. The sun was glowing all weekend and the boys both showed off their talents, bringing home a total of three trophies from the two races. Saturday Morning saw Kellett qualify in fifth place whilst Bird qualified in eighth. Bird had actually posted the third fastest time however it was disallowed due to him exceeding track limits. Early Saturday evening at the Hampshire-based track, Race 1 got underway. Kellett dropped down to sixth in the first lap and then after a series of blistering laps, Kellett caught up with the front of the pack and by lap 8 of 14, he was in third place, continually fighting to get upfront. Kellett then gained one further position two laps later where he remained, finishing the race in second place, just 0.377 seconds behind the race winner. Meanwhile, Bird had lost a few positions and was in tenth by lap 5. Like Kellett, he battled his way through the traffic to get as close to the front as he could and he had managed to climb up to sixth place by the penultimate lap. He then lost one position in the final lap, leaving him to settle with seventh place at the chequered flag. Race 2 on Sunday morning saw an abundance of action! The competition in the top five was very strong throughout the entire race. Bird had gained two positions in the opening lap after having started seventh on the grid. By lap 11 of 16, he had tightened some huge gaps and fought his way right to the front of the pack where he found second position, chasing the race leader right up until the penultimate lap where Bird managed to take the lead and hold onto it, claiming his first well-deserved victory of the season. Kellett remained in his grid start position of second until lap 7, where he then became the race leader however this was short lived as it was taken away from him on the next lap. By lap 10, he had dropped three positions putting him in fifth place however some skilful driving saw him get back to the front of the pack one lap before the finish, where he then remained, crossing the line less than half a second behind Bird, claiming a podium finish of third. 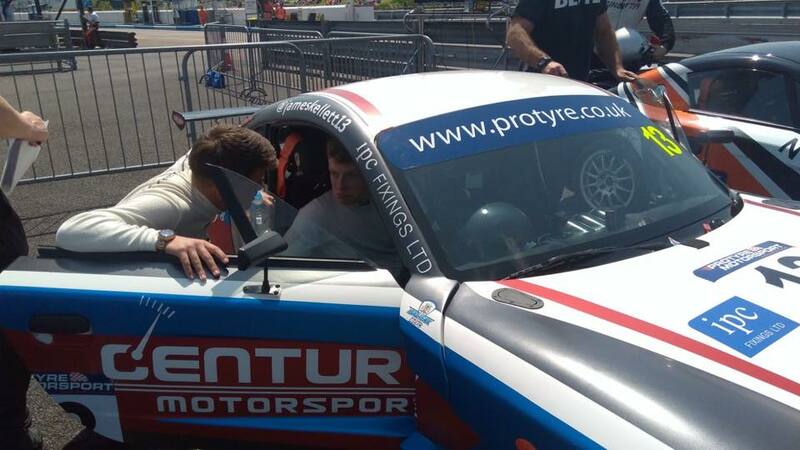 The team and drivers look forward to the next round on 9th – 10th June at Century’s local track, Silverstone. “What a great weekend for team century! Coming away from the weekend with 3 trophies out of a possible 4 is fantastic.